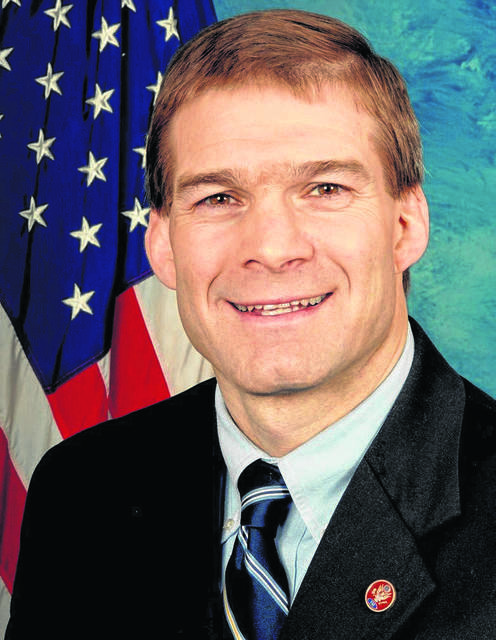 WASHINGTON, D.C. — U.S. Rep. Jim Jordan publicly announced his intentions of running for Speaker of the House come November. Earlier this year, the congressman has said he had been considering a bid, but in a “Dear Colleague” letter addressed to fellow conservative lawmakers, he made his decision clear. “I plan to run for Speaker of the House to bring real change to Congress,” Jordan said in the latter half of his letter. Local Republican leaders have pledged their support for Jordan’s bid. The congressman visits the Lima region often and has found strong support for his ultra-conservative views in the majority of the 4th Congressional District. Allen County Commissioner Cory Noonan echoed the sentiment. Another large aspect of the speaker position — fundraising — may also be more difficult for Jordan than other speaker hopefuls, like California Rep. Kevin McCarthy, R-Bakersfield, who has been making campaign rounds for Republicans across the country since current Speaker Paul Ryan announced his retirement. When Jordan’s district neighbor, U.S. Rep. Bob Latta, R-Bowling Green, was asked about Jordan’s bid, he didn’t take a position. As his statement explained, Latta has been busy crafting legislature. “I haven’t focused on the Speaker’s race for next Congress, because I have been doing my part to re-elect Republican members and elect new Republican members so that we can maintain our majority and pass fiscally conservative legislation that will keep our economy moving,” Latta said in a statement. Latta has introduced 30 legislative actions since the beginning of 2017. In the same time, Jordan has introduced two. “I’ve been focused on getting legislation passed to help the people I represent like the Precision Agriculture Connectivity Act, which will expand access to rural broadband, and my bill to help reform the broken over-the-counter drug approval system. That legislation will help lower costs and improve innovation for over-the-counter products — a big win for consumers,” Latta said.